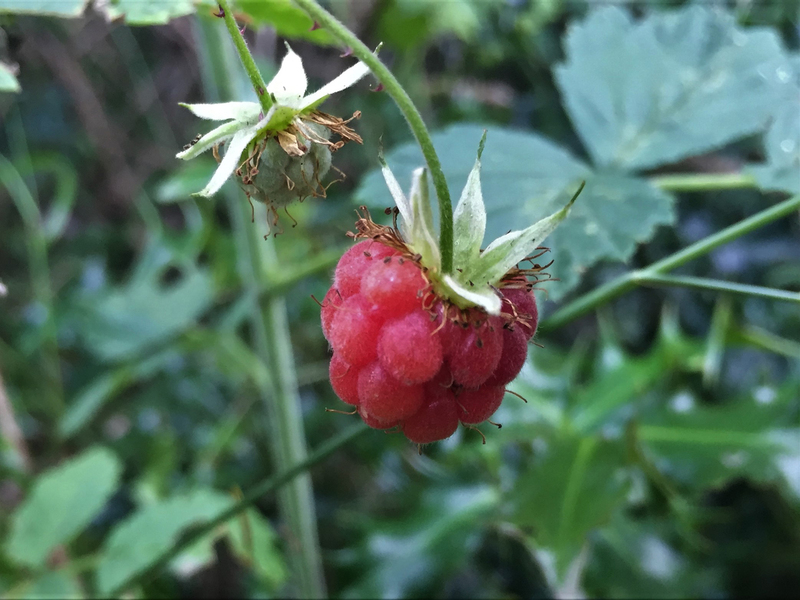 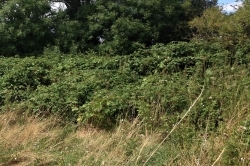 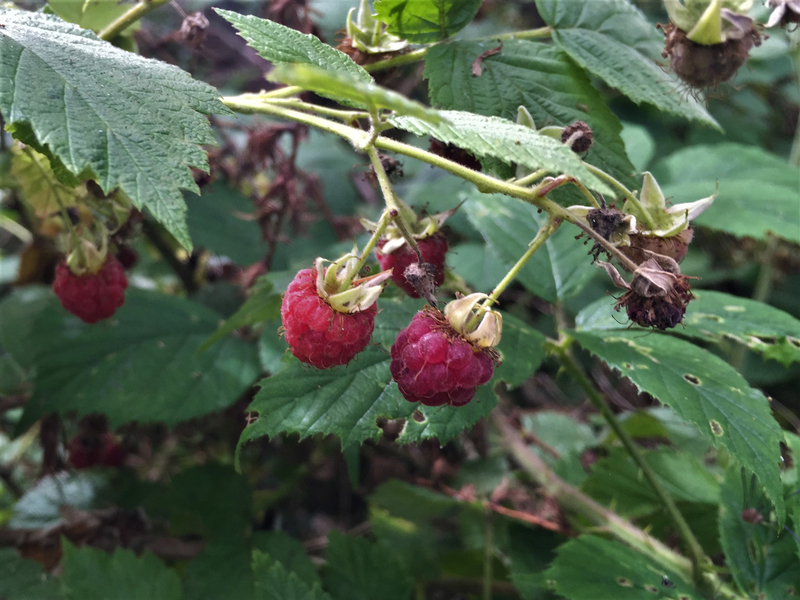 While wandering around woodland in Summer or early Autumn you can find very large, dense stands of Wild Raspberries in clearings, covered in fruit, this is where I can be found at the right time of year while there is light in the sky. 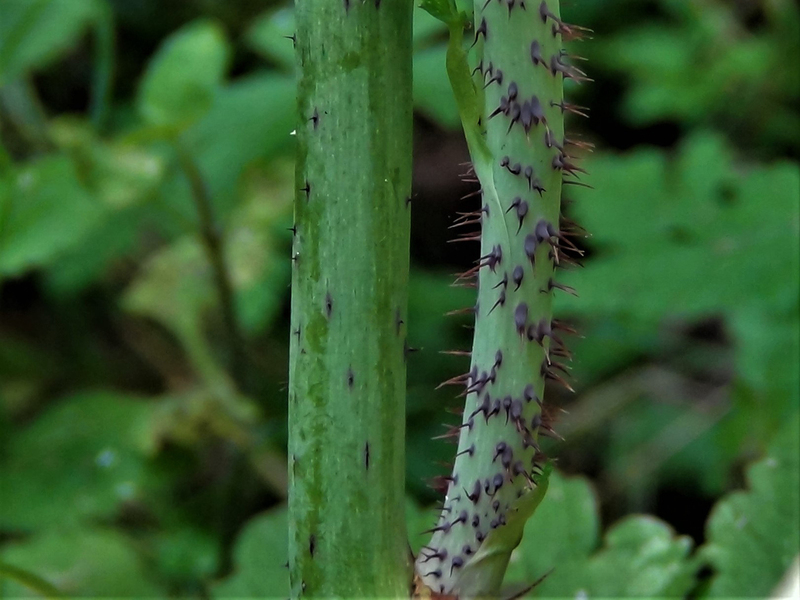 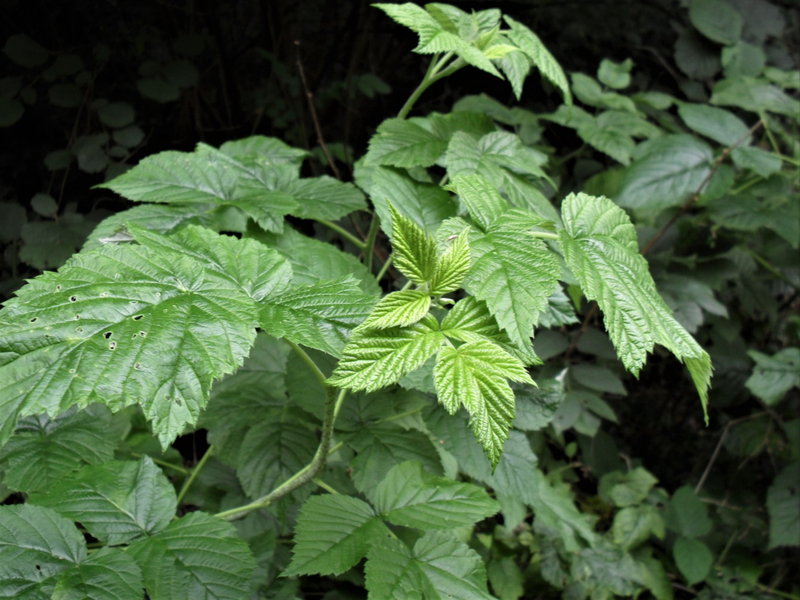 It has compound leaves with five to seven serrated leaflets that are thinner than Blackberry leaves. 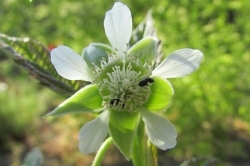 A small, white, five petalled flower appearing from June to August. 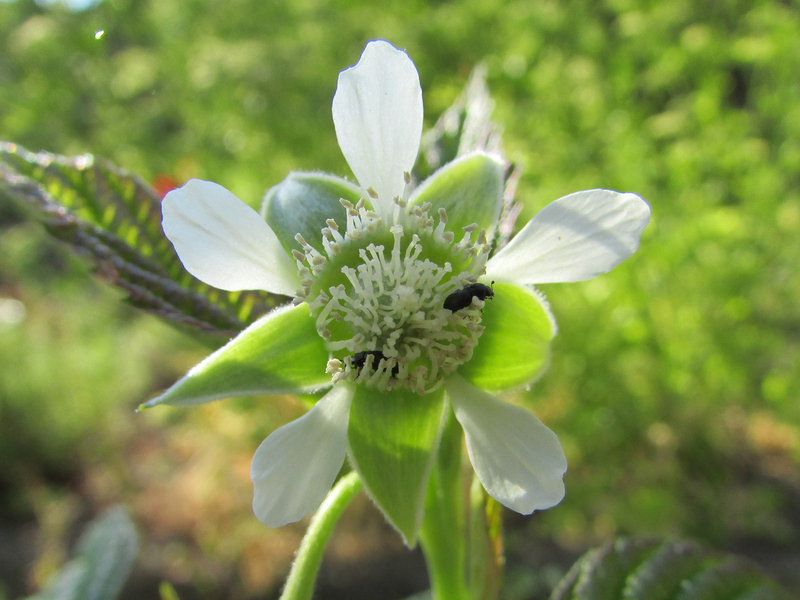 The flowers only keep their petals for about a day. 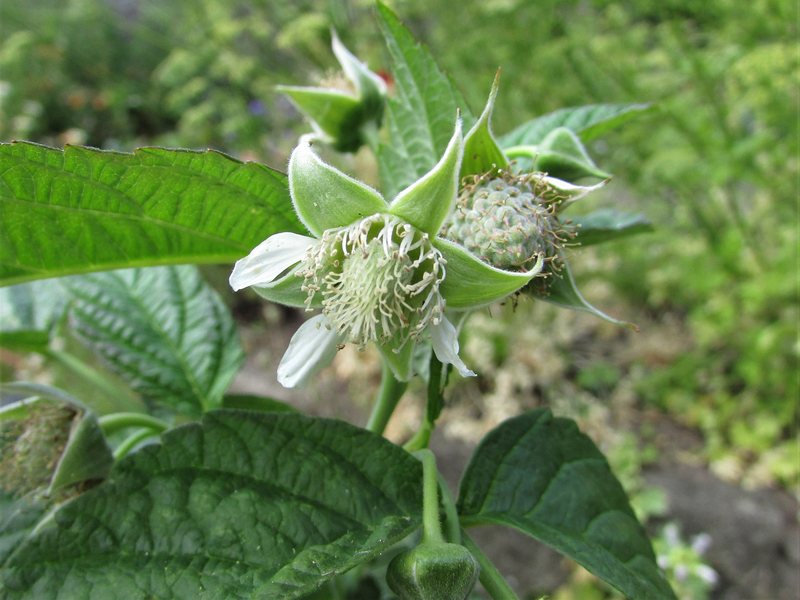 I had been waiting for this flower to open for days, before I could take a second picture the wind blew off two of the petals. 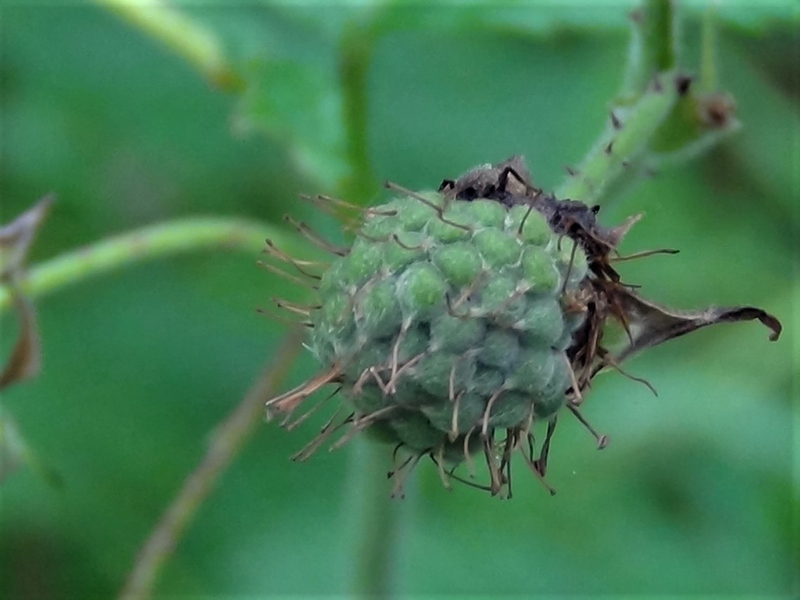 The fruit appears from Summer to Autumn and is ripe when it easily pulls away from the core. 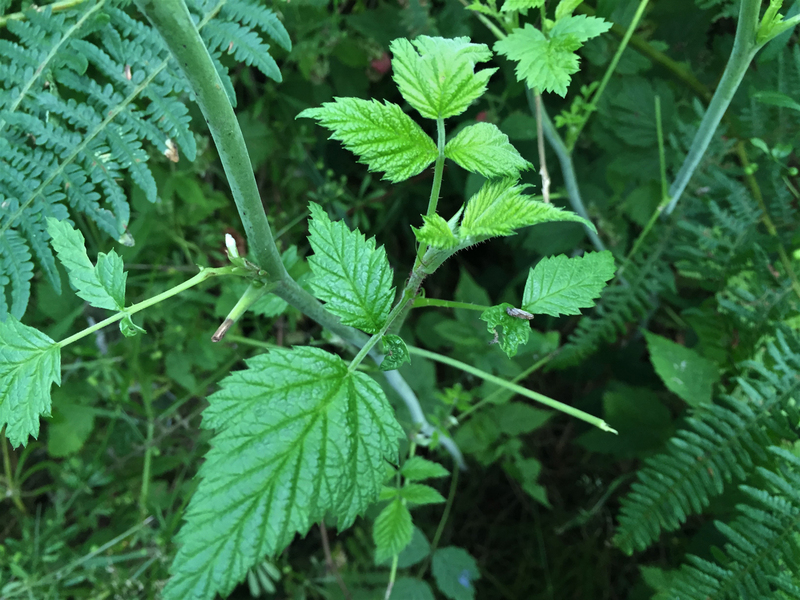 In its first year the raspberry grows as a vertical cane with leaves but from the second year on this cane can produce many branches with leaves and flowers. 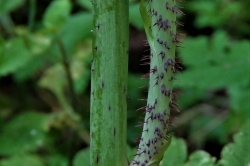 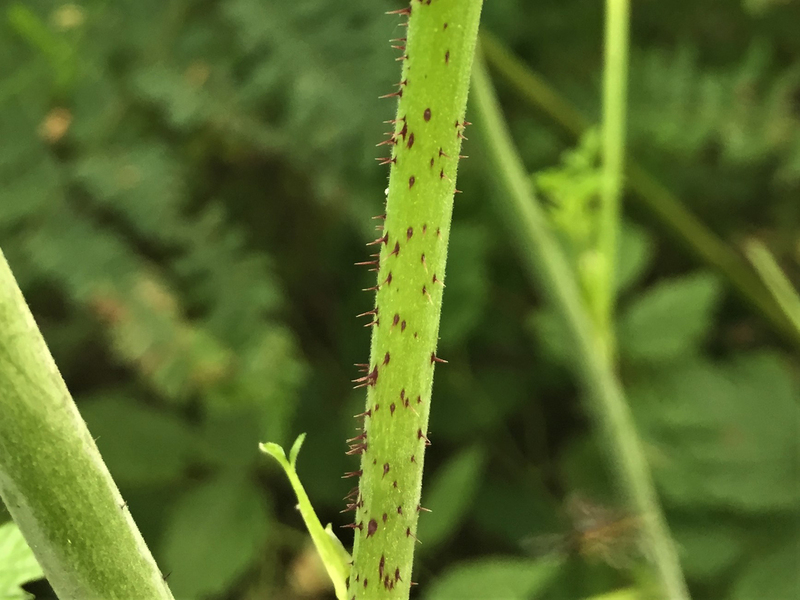 The stem has tiny red thorns but they are small and soft. 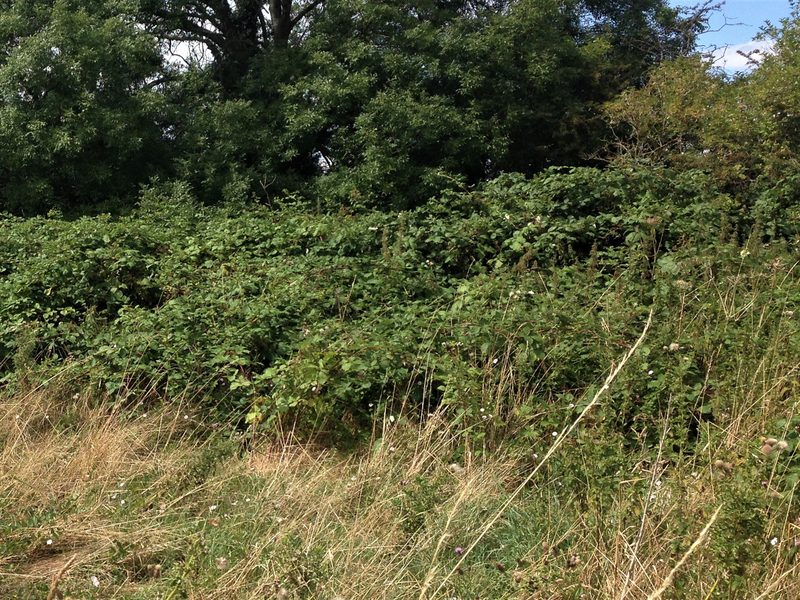 Mixed woodland, clearings and roadsides. 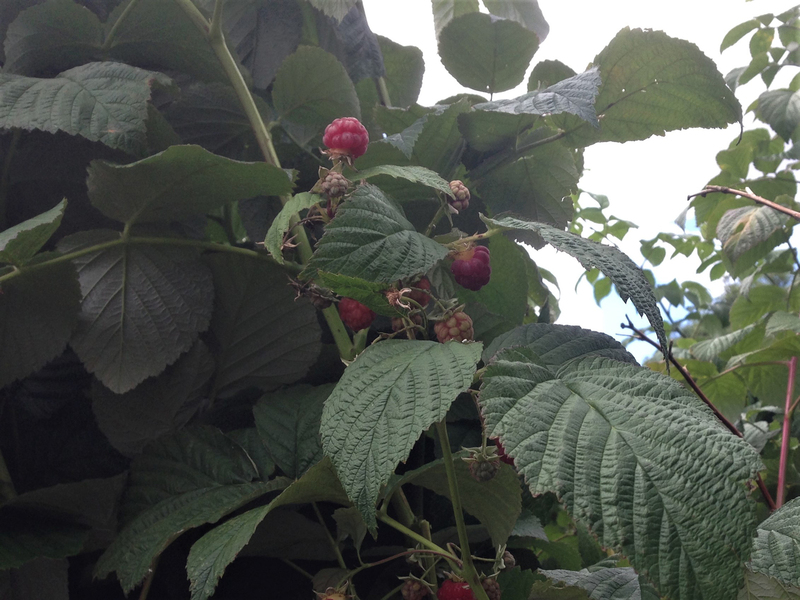 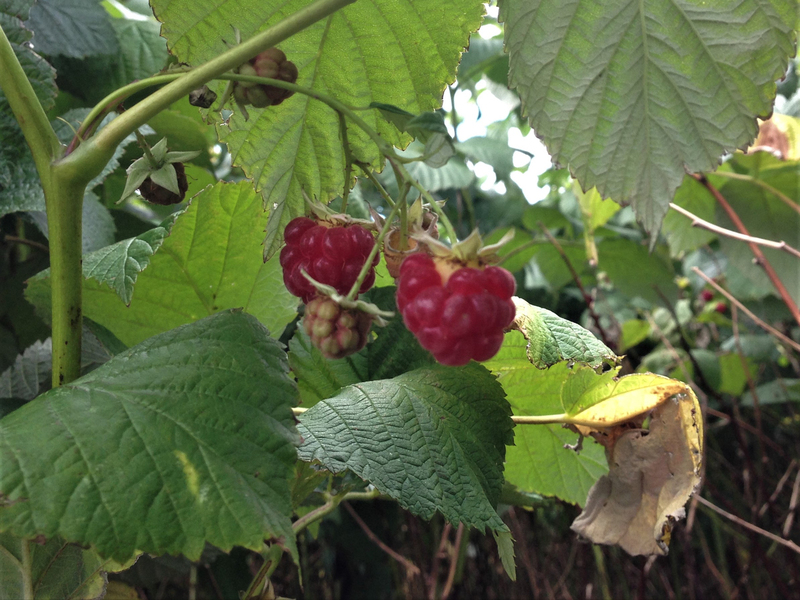 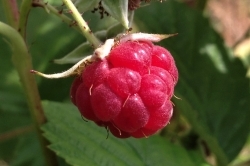 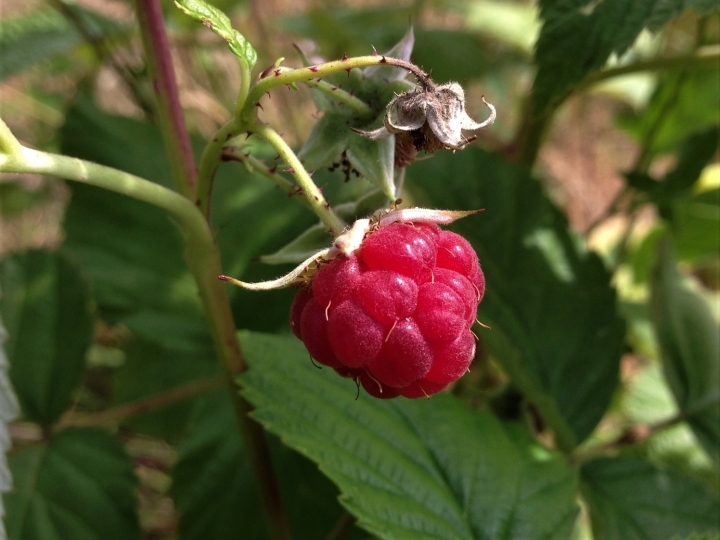 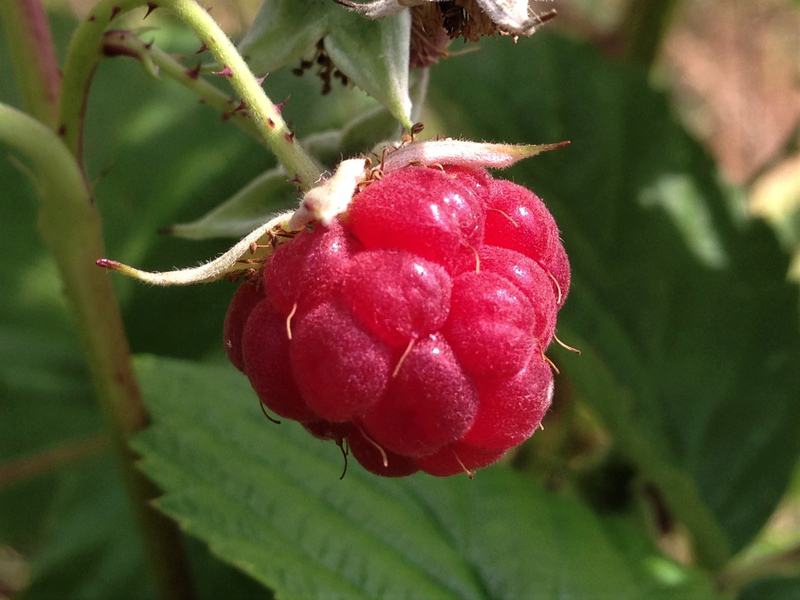 Once the fruit is ripe it is difficult to confuse the raspberry with anything other than an unripe blackberry. 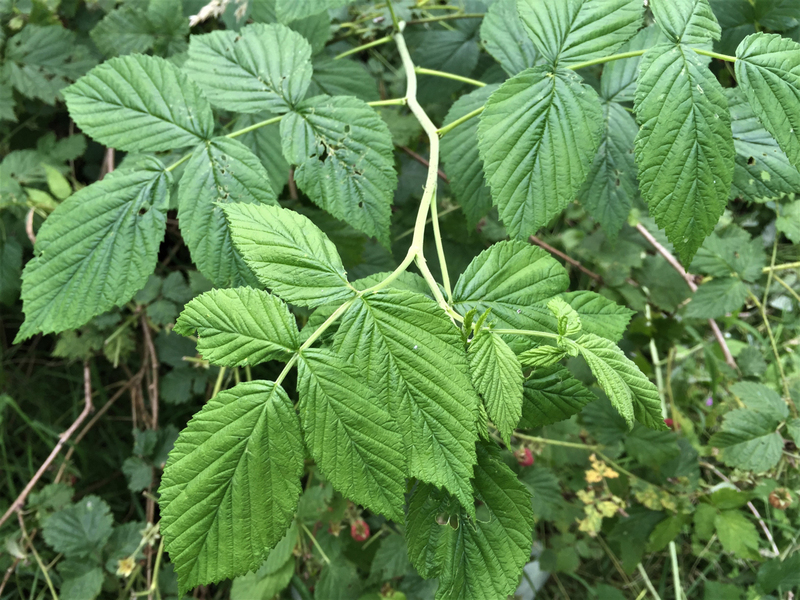 More common than people think. 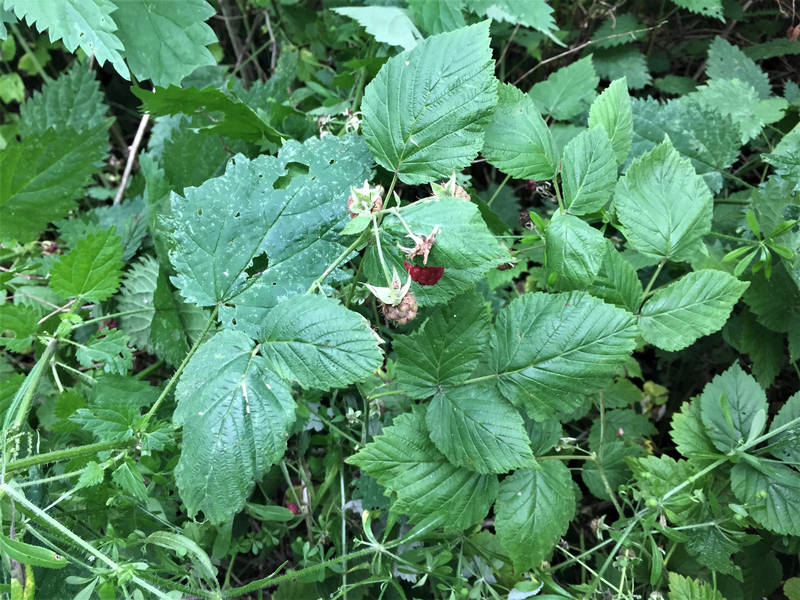 The berries are ripe when they pull away from the core and from there generally go straight into my mouth. 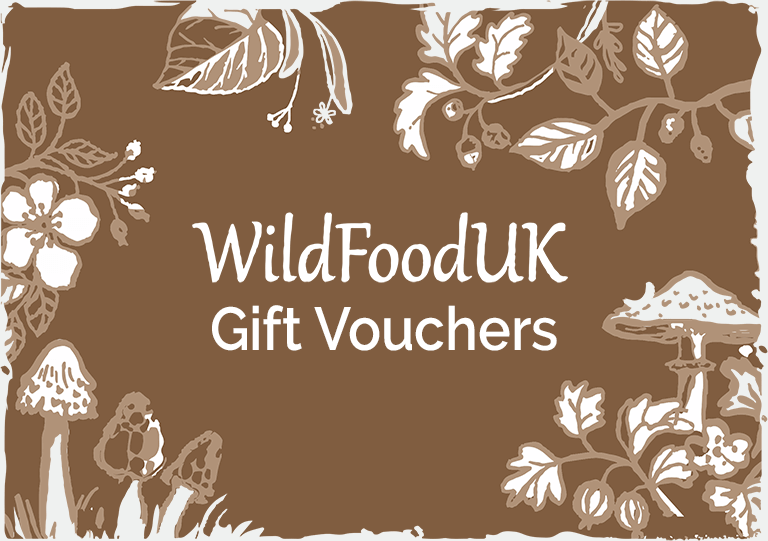 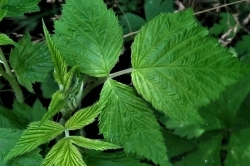 Younger leaves are used to make herbal teas, older wilted leaves can contain small amounts of cyanide. 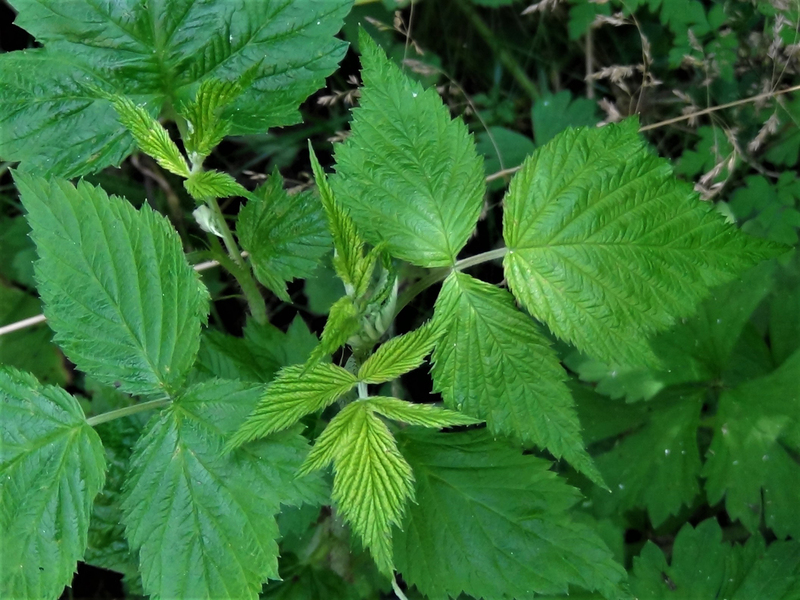 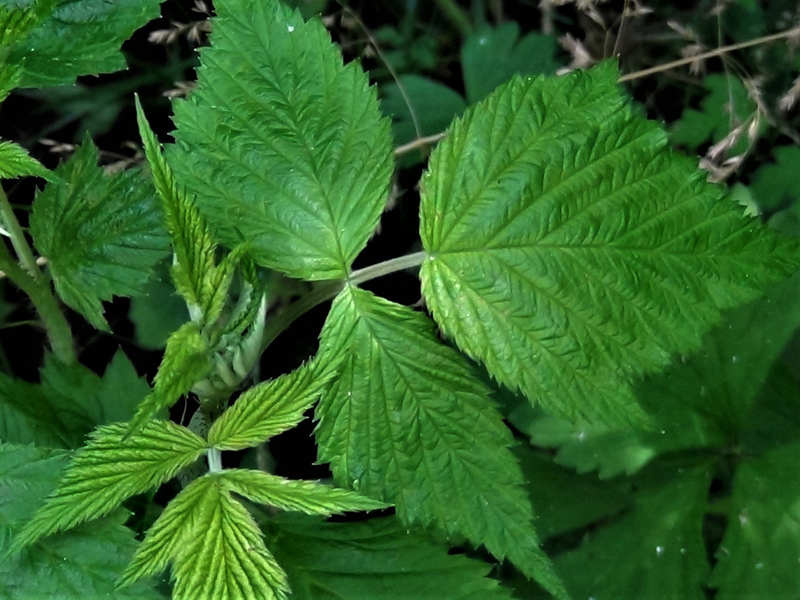 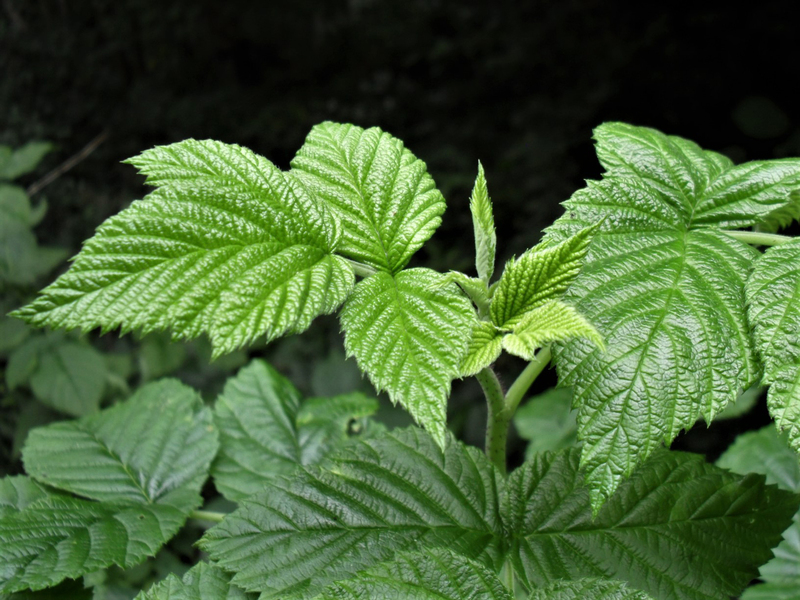 Raspberry leaf tea can be used to alliviate diarrhea, stomach problems and colds and has also been used to ease the discomfort of menstral cramp.